The J. Graham Brown School serves as a districtwide K–12 magnet school for students who thrive in a Self-Directed Learning environment. Students engage in an aligned college preparatory liberal arts curriculum based on our four tenets of Self-Directed Learning: Independence, Empathy, Initiative, and Innovation. Our academic program cultivates critical, open-minded, and creative thinkers who are willing to take risks and are eager for new knowledge. Our learning environment develops compassionate, tolerant, and respectful human beings who value cultural diversity and contribute to the community. Grade-level academic performance and age-appropriate social skills are expected for success in this informal educational setting. Students are offered a catalog of Advanced Placement (AP) courses for which they have the opportunity to earn college credit. Students may take college and dual-credit classes at local universities and online as early as the sophomore year. Students are scheduled using a 90-minute alternating block schedule. Service learning is integrated into the curriculum and is required of all students across the school. Students interact across grade levels through classroom collaboration and mentoring. Students engage in project-based learning, which affords them the opportunity for authentic, real-world learning experiences. 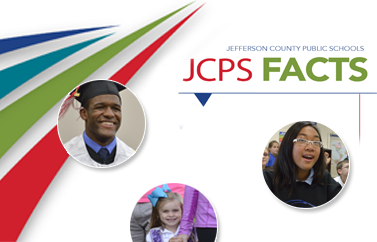 Students acquire skills identified in our Self-Directed Learning (SDL) Framework, which is connected to the Jefferson County Public Schools Backpack of Success Skills. This Framework identifies success skills for students that will prepare them to be contributors to the community. Students participate in student-led conferences. These conferences engage students in goal-setting, the tracking of goals, and self-reflection on the learning process. Students engage in exhibitions of learning, our Self-Directed Learning Showcases, which provide them with an opportunity to demonstrate authentic learning from the classroom. Students participate in a defense process that requires them to demonstrate skills identified in our SDL Framework and the district’s Backpack of Success Skills. Students participate in our One-to-One Technology Device Initiative, which will provide 9th and 10th grade students with a device for the 2019-20 school year.